Welcome to my website, where you can find out about upcoming performances, view scores and videos, listen to recordings, and place orders for my works, most of which are published by Muehleisen Music. About half of my catalog is now online, with more to come. 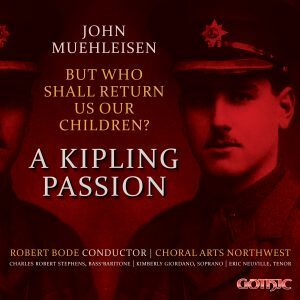 I’m thrilled to announce that, after over a year in the making, the recording of my most ambitious work to date, “But Who Shall Return Us Our Children – A Kipling Passion,” has released worldwide and is available in a variety of formats: physical CD, digital download, and on various streaming services. Please consider purchasing the CD from one of the following organizations, without which, this recording would not have been possible. Conceived as a WWI commemorative oratorio, the work was premiered in March 2017 during the centenary of WWI and has received nearly a dozen performances in the two years since its premiere. 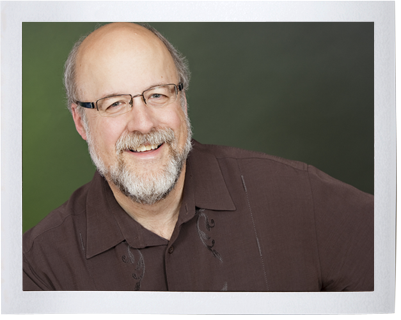 If you’d like to read more details about the work, please download the beautifully designed digital CD booklet here, with insightful program notes by Dr. Gary D. Cannon. For a perusal score of the full work, contact the composer via the Contact page on this website. 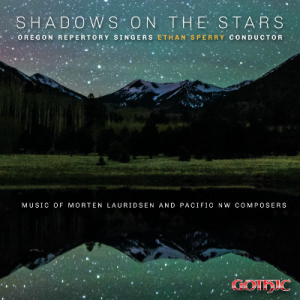 River Moons is available on the new Shadows on the Stars CD from Oregon Repertory Singers & Artistic Director Ethan Sperry! I’m delighted to have ORS’ fantastic live performance recording of my work River Moons included on this CD, along with works by Morten Lauridsen and Pacific NW composers, including Stacey Philipps, Joan Szymko, and Giselle Wyers. The CD is on the esteemed Gothic label (G-49318) and can be purchased here. Movements from both The Great “O” Antiphons and from This Night can be performed individually, in combination with one another, or as full sets. These works are all available from Muehleisen Music. Click here to access the order form. March 17, 2018 – Pleiades’ Path, Consonare Chorale, Georgina Philippson, poet and cond. July 12, 2018 – “Humpty Dumpty’s Recitation” from Through the Looking Glass, WA State ACDA Summer Institute Commission (SA or TB choir and piano). Please contact composer for perusal scores of the works above. May 24, 2019 – Borders, Great Bend Chorale, Matthew Melendez, cond. DCINY Concert – Carnegie Hall, NYC. June 9, 2019 – Love Is – Poem by Rabia of Basra (female Sufi mystic and saint, c. 717–801), Irvine United Congregational Church, John St. Marie, cond.